Divided Country explains how segregation and apartheid became entrenched in a unique way in cricket in South Africa between 1915 and the 1950s. While the rest of the cricket world increasingly rubbed out old dividing lines, South Africa reinforced them until seven different South Africas existed at the same time in cricket. Each of them claimed the title ‘South Africa’ and ‘national’. Each ran leagues and provincial competitions and chose national teams. This book continues the task started by Cricket and Conquest (2017), which re-wrote the foundational narratives of cricket in southern Africa between 1795 and 1914. One reviewer noted it was ‘simply the finest book ever written about sport in South Africa’. Another that it had the effect of ‘bowling over prevailing histories, de-colonising existing narratives of the game ~ [and] throwing all that came before into a spin’ so that ‘what was will never be the same’. 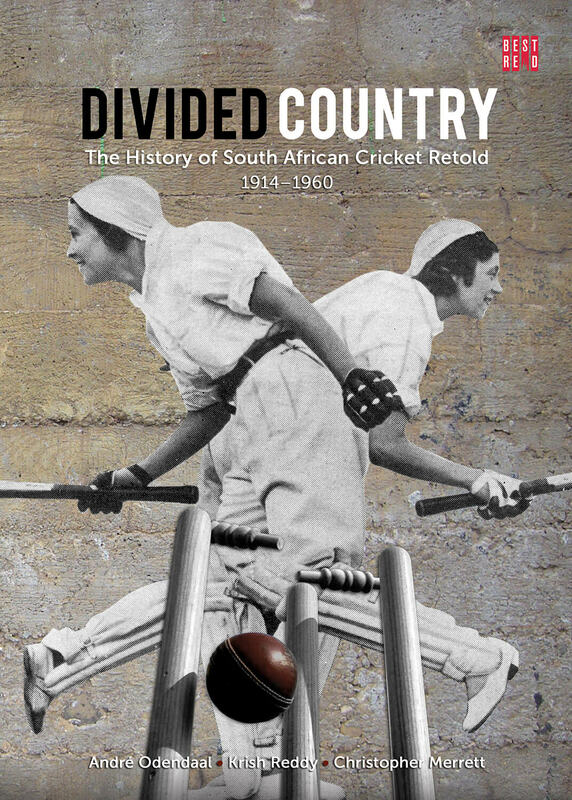 Divided Country similarly attempts to paint an entirely new picture of cricket in South Africa during a crucial and complex period. It completely inverts previous whites-only general histories of cricket, showing that the game has an infinitely richer history than has been recorded to date. cricket unity we take for granted today was struggled for and constructed. This will be the explosive theme of Volume 3 of this series. Andre Odendaal is a historian, writer, former first-class cricketer, non-racial sports activist and CEO of the Cape Cobras and famous Newlands Cricket Ground. He is Honorary Professor in History and Heritage Studies at the University of the Western Cape. His main research areas are the social history of sport and the history of the liberation struggle. His nine books include Vukani Bantu! (1984); Liberation Chabalala (1993, with Roger Field); The Story of an African Game (2003, co-published with the HSRC) and The Founders (2012) on the origins of the ANC and the struggle for democracy in South Africa. Krish Reddy has painstakingly recovered much of the lost statistical records of black and nonracial cricket in Natal and South Africa, details of which were published regularly in the Mutual and Federal South African Cricket Annual from 1996 to 2004. He is the author of The Other Side: A miscellany of black cricket in Natal, published in 1999 and also the co-author with Ashwin Desai, Vishnu Padayachee and Goolam Vahed of Blacks in Whites, a century of cricket struggles in KwaZulu-Natal, published in 2002. The UK-based Association of Cricket Statisticians and Historians chose him as their Statistician of the Year in 2007 for his research on the scores of 223 first-class matches in non-racial cricket in South Africa during the period 1971 to 1991. In December 2009 he was awarded the ICC Volunteers’ Medal ‘in recognition of outstanding service to cricket’. and no story unscrutinised in their quest for the truth. This book is not only a major work of scholarship, it is a work of passion: for cricket, for social justice and for a history that includes all those who ever swung a bat or bowled a ball. Prize for Sports History book of the year. important and satisfying - the story of South African cricket, told at last with both eyes open. It is an expiation of a long and shameful story: how the game which prides itself on fair play collaborated with cruelty, not just for a while but for decade after decade. And persuaded itself that most of this history did not exist. It’s beautifully done as well. imperial greed and military savagery in the high days of the British Empire it reveals how, after promising beginnings, black cricketers were excluded from the game at the same time as the hopes and dreams of their people for full citizenry were progressively dashed. This book is one the authors lived to write. Revisionist history at its best. The History of Australian Cricket. subversion into the mix from the earliest days, this book should encourage researchers from across the world to look at their own established cricket narratives in an entirely new light. Against a backdrop which is sexist and increasingly racist, the local black populations and women of diverse heritages are in this story active participants in the early globalisation of the (white) ‘gentleman’s’ game. The book and the series when completed will provide a comprehensive and intersectional history of the game in South Africa. A painstakingly constructed and detailed story which gives new life to CLR James’s famous statement ‘what do they know of cricket who only cricket know’. Destined to become an essential classic. Beautifully written and meticulously researched. The profound episodic stories of inclusion and exclusion are told with an admirable and engaging lightness of touch. (BBC, 2008) about Hansie Cronje. The ancestors come alive in Cricket and Conquest. The creativity, resilience and human agency of cricketers facing unspeakable prejudice and deeply institutionalised, deliberately created barriers is beautifully researched and narrated here. A magnificent piece of work that traverses the full history of our game. Meticulous research gives us a breathtaking panorama of our rich and diverse past.